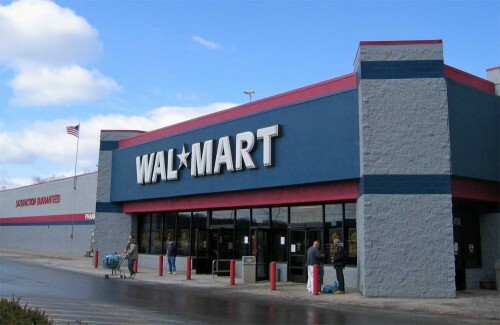 I’ve never been a huge fan of Walmart even before I started manufactured spending. Something about the people and the busyness have always been off-putting to me. So, why did I continue to go there? For Bluebird and Serve of course. However, lately I’ve been losing the desire to include Walmart in my manufactured spending arsenal. In the past month, I haven’t maxed out my 3 Serve accounts at Walmart. The reason is twofold. First, Walmart is a ways away from me. The time and gas I would need to spend to get there, outweighs the points earned. And second, because there are many more convenient methods to manufacture with. If those aren’t good enough reasons to quite Walmart entirely. Here’s a few more. Serve and Bluebird are supposed to be no fee banking alternatives, yet the past few weeks have seen $3.95 fees attached to every Serve load at Walmart. Fortunately, American Express was willingly refunding these fees and has since fixed the glitch. But, that doesn’t mean everything is happy-go-lucky. That fact that this glitch reared its ugly head, has me worried about the future of Serve, and maybe Bluebird, loads. I originally thought this was just a glitch and they would fix it, which it was and they did, however, I think there was more to it than meets the eye. I think Serve and/or Walmart is getting the framework set up for $3.95 fees. The fact that Bluebird didn’t see these fees, makes me think that this will be Serve only. That way Bluebird will have more of an edge, since it’s a Walmart product. Will that actually happen? Who knows. It’s all speculation, so please take it as such. As of a few days ago, Bancorp issued gift cards (OneVanilla, Visa Gift Cards, ect.) have not been able to load any prepaid card. There used to be a work around for problems like that, however even those work arounds don’t work anymore. Gift cards no issued by Bancorp still do work. I think Walmart is planning to put an end to gift card loads, but there is a chance that’s not true. What do you think? Is Walmart going to accept gift card loads for much longer? I primarily buy money orders in-place of loading Serve. The price is not much more expensive and Meijer, where I buy the MOs, is significantly closer. Also, I go there for groceries already which saves me the extra trip to Walmart. If you don’t have anywhere to buy MOs at, there are many other options. You could use Visa Buxx, load Serve online, or try one of the many other manufactured spending methods. What do you think of Walmart’s shenanigans? Do you still load your prepaid cards at Walmart or have you moved on to greener pastures? Let me know in the comments.